The Barclays Park Beach is located around 3 kilometres from the city centre of Bathsheba. A gift from UK to celebrate Barbados’ independence, the park is mostly free of amenities. 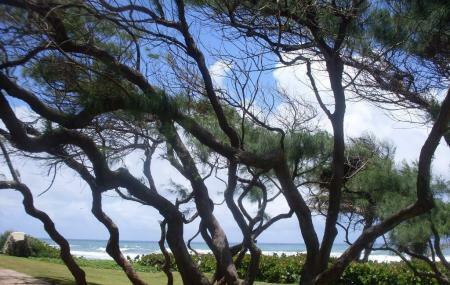 It does have a shaded area with picnic tables and offers incredible views of the eastern coastline. Situated right across the ocean, it is a good place to have a family picnic. Car parking charges may apply. How popular is Barclays Park Beach? People normally club together St. John's Church and Andromeda Botanic Gardens while planning their visit to Barclays Park Beach.